The Gallows Crow formed out of the the limestone and granite rocks of the Texas hill country. A conglomerate of rock musicians from Hillsboro, TX brings to you a combination of Alternative Rock and Blues Rock in a style reminiscent of a Comanche Medicine Man bringing on the thunder. Their award winning single, “The Water,” has brought them local notoriety. 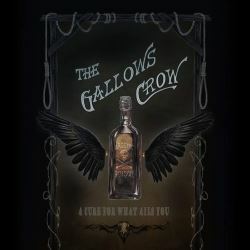 Fueled by whiskey and a need to shred, The Gallows Crow will rock you.